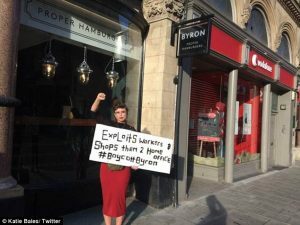 The questions raised by the Byron press release and the further report from Corporate Watch concern the extent of the legal obligations placed upon employers in terms of immigration enforcement. Are employers legally obliged to set up ‘arrest by appointment’ meetings for staff for example? And do any of the legal obligations owed to employees or workers conflict with those related to immigration enforcement? Employers are not legally obliged to collude with Home Office officials in terms of immigration enforcement. There are criminal and civil implications for employers employing migrants who have no right to work in the UK. However, where employers perform the correct right to work checks, they will not be held liable under either civil or criminal law as they will have a ‘statutory excuse’. This ‘excuse’ will provide a defence as long as the employer has no knowledge that an individual is without the right to work throughout the entire period of employment. Given Byron’s stated ignorance, their claims that they were ‘legally obliged’ to cooperate with the Home Office are not justified. If, as Byron claims, they performed vigorous right to work checks, then Byron would have been excused from paying the civil penalty of £20,000 per worker as they would have been armed with a statutory excuse. It therefore appears that cooperation on the part of Byron was optional. Where employers fail to perform the correct right to work checks or gain knowledge that workers have no right to work, their defence of a statutory excuse is lost making them liable to both the civil penalty and criminal sanctions. Where knowledge is gained during the employment relationship, in order to avoid liability, employers are advised to suspend the worker with pay for reasons of investigation or dismiss the worker following the correct procedures. The primary impetus for employers cooperating with immigration enforcement is therefore financial: to avoid paying the full civil penalty and to receive a discount on their penalty for cooperation. In terms of the rights owed to workers, research indicates that very few obligations are owed from employer to worker where they are found to be working with no right to work in the UK. This is because the doctrine of illegality bars any contractual claim where the contract was illegal from inception due to immigration status. Undoubtedly however the level of collusion displayed by Byron is damaging to the employment relationship, particularly for those employees with a right to work who were wrongly caught up in the sting operation. Whether any successful legal claims could arise from these employees is doubtful but this does not deny the negative impact of immigration enforcement on a harmonious working environment. Though illegality does not bar workers from making discrimination claims, a recent judgment from the Supreme Court creates difficulties for irregular migrants seeking to make claims over poor treatment as ‘immigration status’ is no longer recognised by the courts as a protected characteristic. Employers must still however act with extreme caution. If there is any indication that certain groups are being singled out for right to work checks or investigation, the employer risks a discrimination claim arising. An example might be where an employer makes certain assumptions about a person based on their accent or appearance and only performs right to work checks on those individuals, or alternatively submits information to the Home Office on this basis. The second risk of employer collusion with immigration enforcement concerns data protection. In Corporate Watch’s analysis of the ‘Operation Centurian’ files it was clear that employers regularly hand over staff files to immigration enforcement officers which contain personal data, some of which may be ‘sensitive’. This might include, for example, information concerning the racial or ethnic origin of the data subject or the commission (or alleged commission) by them of an offence (such as an immigration offence). Employers should therefore beware about voluntarily handing over personal information concerning staff to immigration officials, or allowing managers to do so without prior authority. The conclusion drawn from this research is that employer collusion over immigration enforcement is voluntary rather than mandatory as there is no legal obligation to aid the Home Office in their arrest or investigation of the workforce. Though legislation does not legally require employers to undertake right to work checks, employers are compelled to do so due to the effect of the civil penalty and criminal sanctions for ‘illegal’ working. Despite the lack of legal protection afforded to irregular migrants in the UK, employers should also act with caution before cooperating with immigration enforcement as claims might arise over personal data and discriminatory behaviour. For details of the full report see: http://www.migrantsrights.org.uk/files/publications/KB_Lega_opinion_0916.pdf. * A version of this post was first published by the Migrants Rights Network.